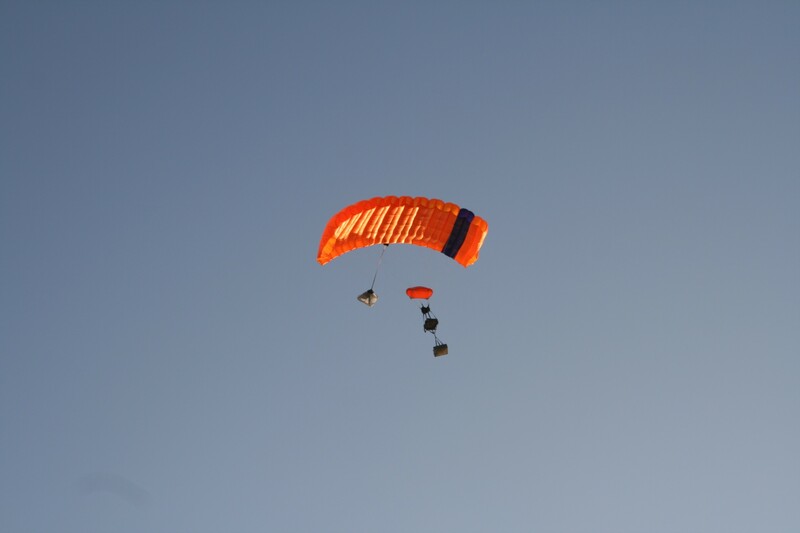 VITAL PARACHUTE’s SKYPORTER-300 is a fully autonomous GPS-guided aerial delivery system, released from an aircraft for delivering a cargo to the designated drop zone. 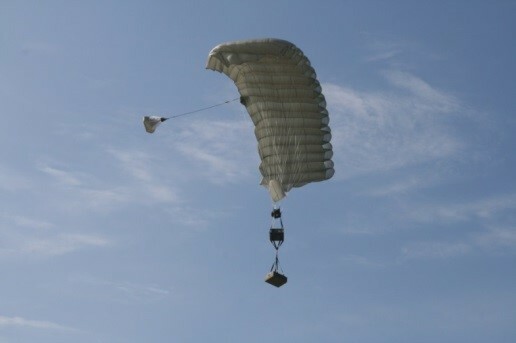 Just like a paratrooper under the canopy, SKYPORTER-300 continuously reads winds, makes the required corrections and precisely transports cargo, equipment to hostile terrain by air asset while avoiding adversary’s anti-aircraft artillery. 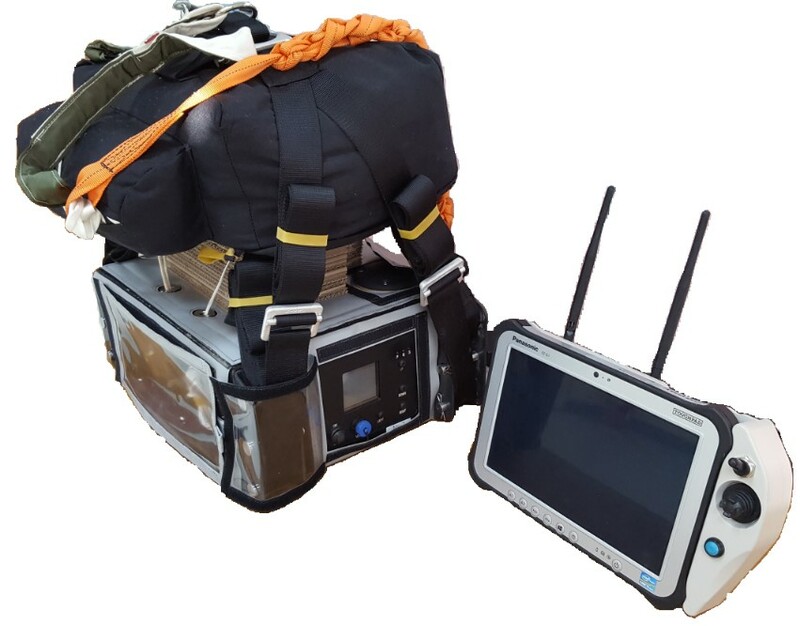 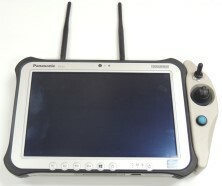 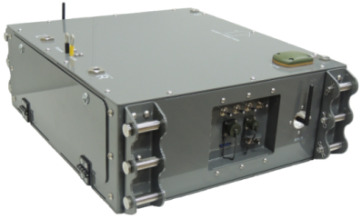 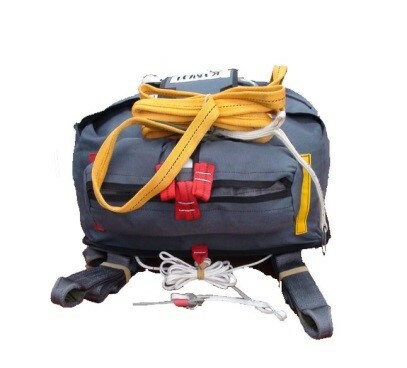 The SKYPORTER can be used for both military precision and civilian disaster humanitarian relief by reducing cost and re-assuring accurate supply.